A little knitting, spinning, and me! It has finally happened! The Paired for Life socks for Dustin are finished. I know that a week isn’t really that long of a time to knit a pair of socks, but when I don’t have as much time to put into knitting, it feels like an eternity. This pattern was not overly difficult. 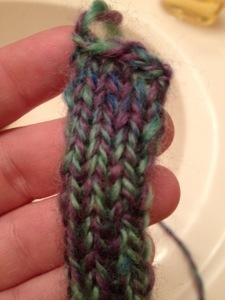 I was a little unsure at first on what was happening with the ribbing. I ended up having to write it out and do math to make sure I was doing it right. After the first row, it was a snap and turned out looking very nice. Overall I am very happy with the pattern and the socks. He seemed very pleased to get them. In fact as soon as the ends were woven on the first one, it was on his foot! Makes me happy. Almost only counts in horse shoes and hand grenades, but I think it counts in spinning too. I started plying up the singles that I’ve been working on forever. I forgot that my sweet little boy threw my bobbin I use for plying and broke it the other day. It’s plastic and just the end broke off where the two pieces were joined. I’m pretty sure that the super glue that I have will do the trick. I stuck it back together and am going to let it sit overnight to be on the safe side. I only got about 3/4 of the bobbin filled when the bobbin started popping apart so I went ahead and washed it so it is hanging to dry now. I first did a few yards as a sample to see how it’d come out and I knit it up. I am in love. So the entire amount that I have is not done, but because I can see what it’s going to look like and I will finish tomorrow, I’m calling it almost finished and that makes me happy. 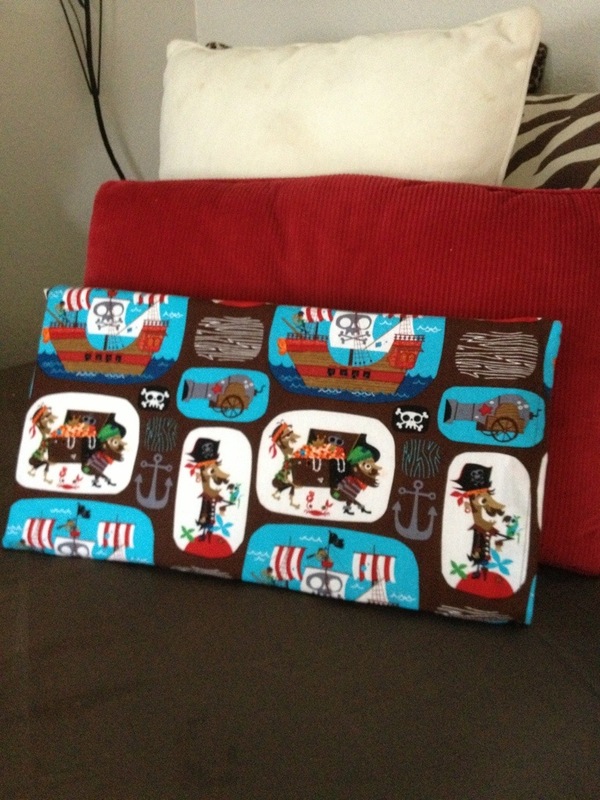 I did complete my sewing project during nap time today. Jonathan is the proud owner of two toddler pillows! Now I understand that he is 19 months old and is not really supposed to have a lot in his crib with him, but we started putting small baby blankets in with him since he was about 14 or 15 months old. I’m a scardy at when it comes to my baby. Some things are not worth the risk, but I feel confident in the pillow that I have made for him. They are one inch thick and are foam so they shouldn’t be all fluffed on his little face. I had so much fun with this little project. It made two pillows. I am barely more than a beginner in front if a sewing machine, but these turned out well. There are things I would change for next time, but I am very pleased with how they turned out. I did a hem around the open end edge and they matched up perfectly. You can’t tell where the seam started and ended. I have a few more sewing projects planned, but they will have to wait until I can get more fabric.